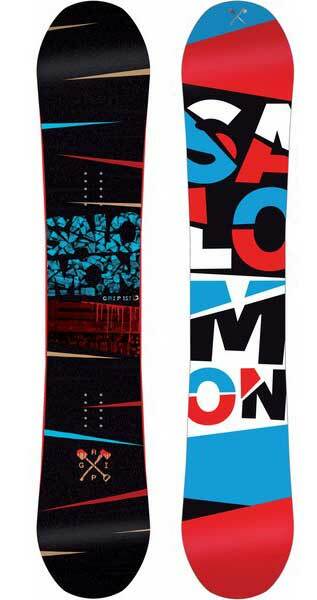 The Salomon Grip has a misleading name but it’s a good board. 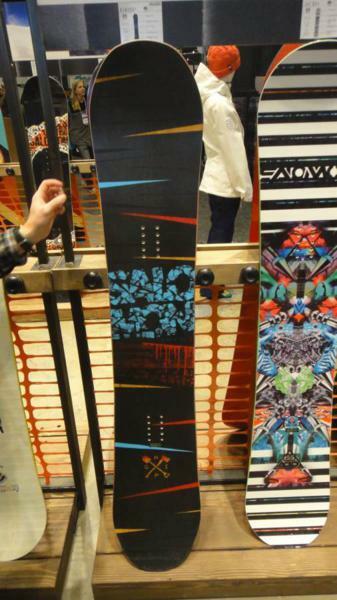 When you hear the word Grip in snowboarding it’s synonymous with Magnetraction boards. The grip holds well but it’s not an ice friendly board. 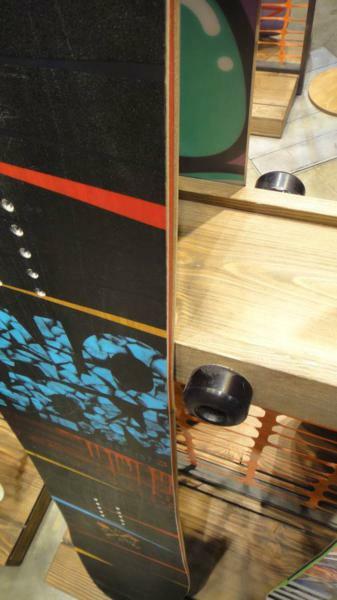 It’s just a good board with solid edge hold for most conditions you want to ride in. It’s a pretty versatile all mountain freestyle ride that can make a lot of mountain and park riders happy. The Salomon Grip is one of those boards that can do just about anything out there well and can live on either side of the park fence. Our only complaint is it should of received a different name. The name Grip sets you up for magnetraction expectations and it just doesn’t grip like that. It’s not an ice board but its got decent edge hold. All in all, this is a pretty good do everything freestyle board with good but not excellent edge hold, but it’s not for east coasters looking to ride ice every day. So if you can get past the name, you have a pretty good board here. 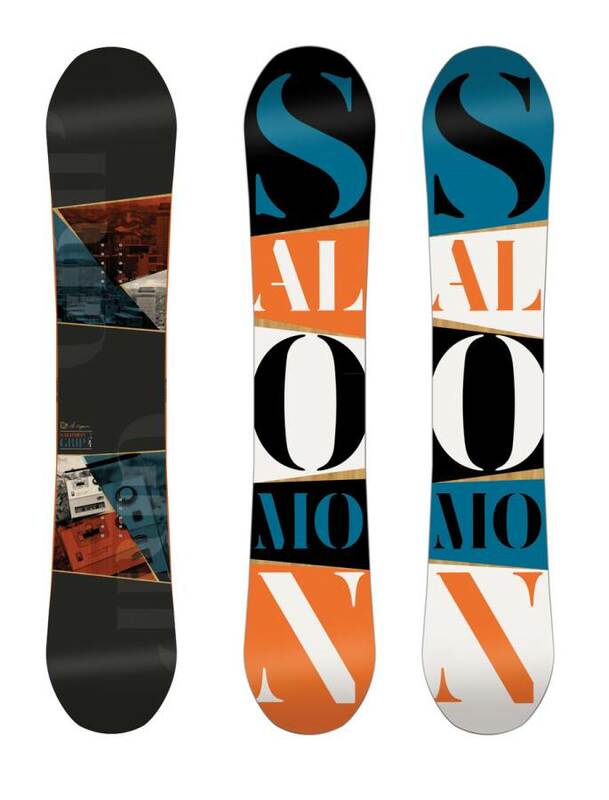 On Snow Feel/Turning/Carving– The Grip is stable between the feet and it seems pretty damp for a board of its flex. The Grip is one of those boards you would think would be too washy and chattery to have a good time on the mountain but we were surprised here. We expected it to be playful but didn’t expect its ability to turn as well as it did. Neither of us were bombing but it was really fun to make a good turn or two and then look for something on the side of the run to jib or jump. Its fun to make a few turns, butter, and get some medium speed kind of play around the mountain board. When making short quick turns the Grip had no problem getting from edge to edge quickly without feeling too sticky. When we opened up into a serious carve we expected a wash out a lot earlier than we thought. It held really well and was fun to make wide open turns on the hill. It was a lot more fun than we expected. 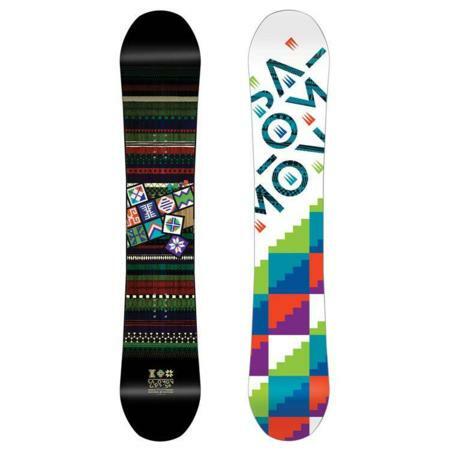 Powder: For a twin with a centered stance the Grip does a great job. It’s no super dynamic pow board but if you live in areas with light fluffy snow you might never want for more. If you live in areas with thick coastal deep storms that bury houses you will be wanting something more. Speed: the Grip is borderline between average and good. It’s going to hold up pretty well at moderate speed and the base wasn’t super slow. It’s more than you need for most park approaches and about average on the mountain side. Uneven Terrain: Good in uneven snow but it’s got a little bit of that unforgiving feel that some of the Salomon boards have. We’d love to see them with more rubber in the core like the discontinued Special II had. Pair this with a good shock absorbent binding and it should be good enough for end of a crowded Saturday. Approximate Weight– To us it felt pretty light and didn’t really bring the weight to our attention either way. Edge Hold: The day we were out on the Grip, it made some boards edge hold look pretty bad and others act like champs. The conditions were pretty firm but nothing like a day on the east coast. The Grip held an edge pretty well. The “equalizer” sidecut helps make the Grip hold an edge a lot better than it should but it’s not going to compete with magnetraction in hard to icy conditions. We never felt like we needed more edge hold but didn’t feel like there was no limit to the edge hold the Grip provides. 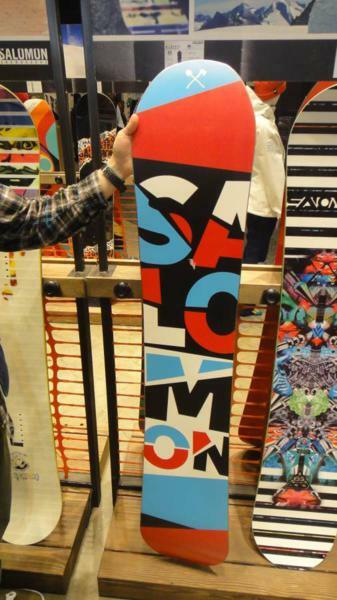 It probably would of been better to give the board a different name as people are expecting bottomless grip with this name. The truth is the Grip has great but not excellent edge hold. Flex: The flex is medium but felt more soft on the hill. It’s soft but not so soft that it’s limp. Very easy to butter/press. Switch: A true twin with flat/rocker like this makes it easier to ride switch for those that do it a lot or want to learn. Rails/Jibbing: Pretty fun to lap the jib park with this board. There are softer more jib friendly boards out there but the Grip is pretty fun. The flat between the feet makes it pretty easy to slide. 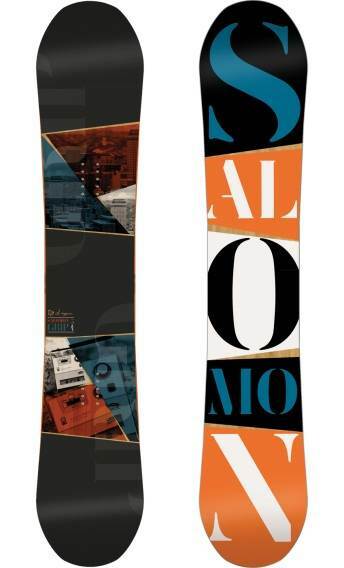 We try to get as many images of the Salomon Grip, but forgive us if they're not all there.